Batting: KL Rahul 70 off 36 balls, Suresh Raina 69 off 45 balls, Hardik Pandya 32* off 9 balls, Manish Pandey 21 off 20 balls. Bowling: Kevin O’Brien 3/40 in 4 overs, Peter Chase 1/42 in 4 overs. Target: 214 runs from 20 overs. Batting: Gary Wilson 15 off 18 balls, William Porterfield 14 off 11 balls. Bowling: YS Chahal 3/21 in 4 overs, Kuldeep Yadav 3/16 in 2.3 overs, Umesh Yadav 2/19 in 2 overs, Siddharth Kaul 1/4 in 2 overs, Hardik Pandya 1/10 in 2 overs. Irish captain, Gary Wilson chose to bowl first as the pitch had more grass on it which could aid the fast bowlers in getting quick wickets. 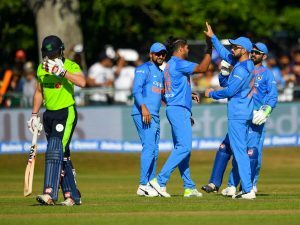 Both teams included new players in their squad as India were looking to clean sweep and Ireland intended to draw the series. Siddarth Kaul was rewarded for his IPL performances as he received his maiden IPL cap from none other than MS Dhoni. Virat Kohli promoted himself up the order as he and KL Rahul opened the Indian innings. 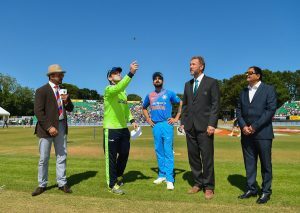 Simi Singh was given the new ball by the Irish captain. 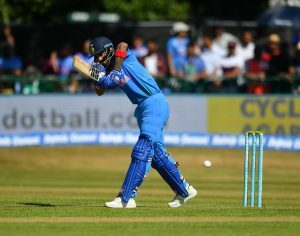 Rahul got off to a blasting start but Kohli stuttered against Rankin and fell to Peter Chase in the very next over as Ireland drew first blood. Suresh Raina joined KL Rahul. Both batsmen continued the onslaught as India crossed 50 runs in 5 overs. Peter Chase was given the last over of the power play. And, the pair barely survived his over as Chase continued to hit the right lengths. 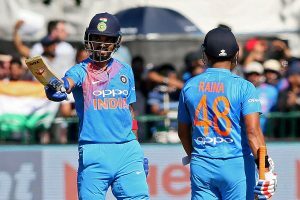 After the power play, both batsmen continued scoring at 10 runs per over as India crossed a 100 runs in 10 overs and KL Rahul reached his half century. Post his half century, Rahul went more aggressive as his strike rate increased to 200+. This is when Keven O’Brien came into the attack. And, the Irish pacer struck straightaway by taking the wicket of KL Rahul followed by Rohit Sharma who departed after one ball on a duck. Manish Pandey joined Raina. 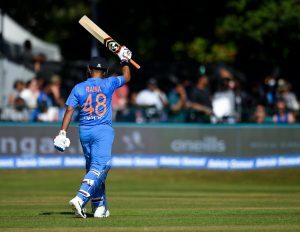 After a few overs, Raina also reached his well deserved half century in only 34 balls. But, he also couldn’t convert it into a century as after a solid partnership of 36 runs he became Kevin O’Brien’s 3rd victim. India were now 4 wickets down with 169 runs on the board. Hardik Pandya was sent in at this point with the tactic to finish strong and get above 200 in the last 3 overs. This plan worked as the destructive all rounder struck 32 runs of only 9 balls to take India to a total of 213 runs. Hardik Pandya what an explosive innings in the end. Virat Kohli last three T20I inns. 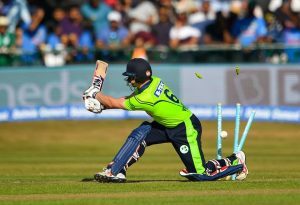 Irish batsman had to bat out of their skins in order to chase 214 runs and draw this T20 series. Stirling and Shannon opened the innings while Umesh Yadav was given the new ball by Virat Kohli. Umesh struck in his very first over by removing Stirling as India got a dream start. Shannon joined Porterfield. Both added only 12 runs to the total after which Umesh Yadav removed Porterfield and Ireland lost their 2nd wicket in 3 overs. 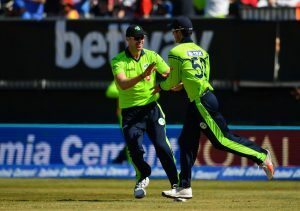 Shannon departed in the very next over as the debutante, Kaul got his very first international wicket. Balbirine joined Wilson. But he could only last 1 over as Chahal wrapped him up in his very first over followed by Kevin O’Brien who became a victim of Hardik Pandya. 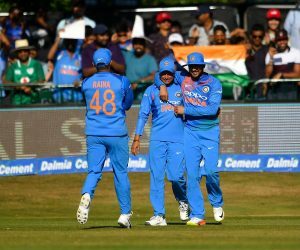 At this point, Ireland were 5 wickets down and India Vs Ireland had become a one sided affair with the Irish still needed 178 runs from 13 overs. However, things didn’t get any better for them as Chahal got his 2nd wicket as he pinned Simi Singh lbw. Spin was introduced from both ends as Kuldeep Yadav came into the attack. And, the leg spinner struck straightaway as he shattered the stumps of Gary Wilson. 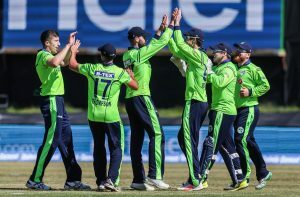 Some retaliation was shown by the lower order batsmen but one after the other they succumbed to the spinners and Ireland got all out in 13 overs. India warm up for England T20Is well. Chahal and Kuldeep will be fun to watch to Roy, Root, Bairstow and co. This is the end of India Vs Ireland T20 Series. Keep visiting Allsportspk for more cricketing updates.